I guess they wanted their goat milk extra fresh for the road. What could one possibly do with that amount of Pantene? 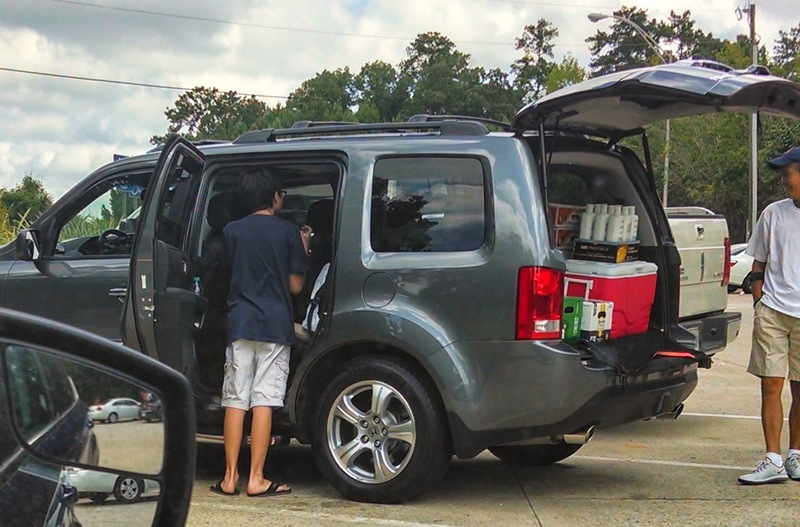 And large cases of beer and two crates of peaches, all of which was transfered into a different car at a rest stop. 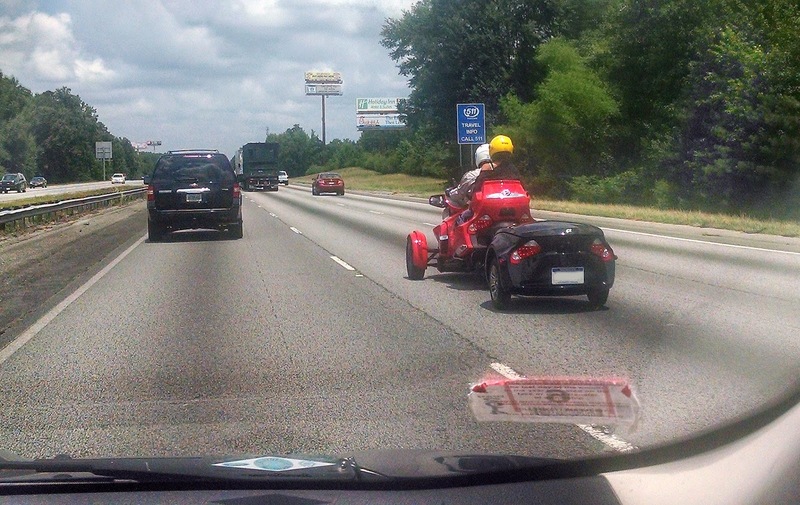 I know that driving a car won't give you the "open road" experience, but when you have to hook up a trailer to your three-wheel motorcycle (is it still a motorcycle?) you probably need a car. 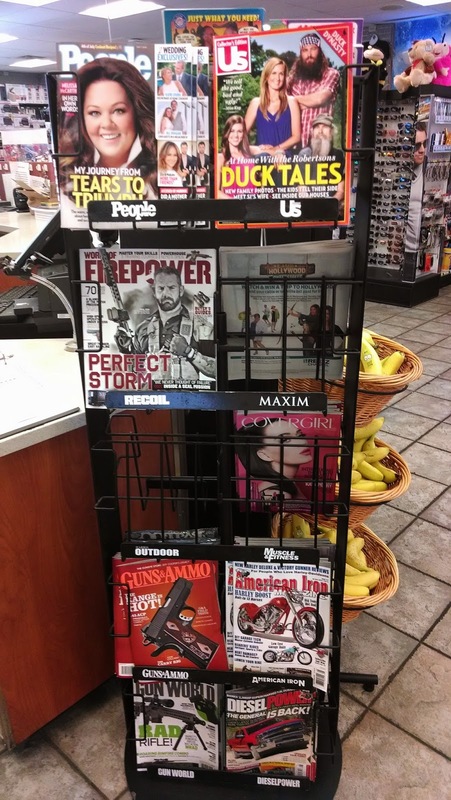 Last year, at a not so nice rest stop, I stumbled on a magazine rack, whose selection was begging to be shared with the world. Unfortunately, I walked in without a camera. This year, I wasn't going to miss the opportunity. Eventually, we arrived to this, a view that leaves me breathless every single time.